Upon arrival in Batam Center Ferry Terminal, after the immigration and customs, you will be greeted by our local representative. You will then be escorted to our air-conditioned bus for a transfer to the Golf Course of your choice for your Golf Game. After the game you will be brought back to your hotel, where you can check-in. After breakfast at the hotel, you are free to explore your resort / hotel’s facilities until the scheduled pick-up service arrives. If time permits, you may do some last minute shopping at Batam Mega Mall. 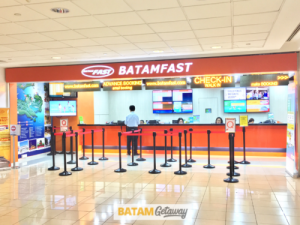 1-hr (recommended minimum of 1 hr and 1.5hrs on weekends) before your ferry departure time, walk to Batam Ferry Terminal for your return ferry back to Singapore. 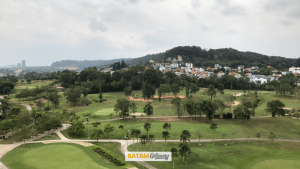 This Batam Golf Package includes 2-way Batam ferry tickets from Singapore, 2-way Batam land transfers, 1 x 18 Holes Green Fee + Caddy + Buggy (First Day), Optional Tee Off on Day 2, Hotel with Breakfast and a Meet and Greet Service. Designed by the legendary golfer designer, Greg Norman is the Tering Bay Country Club. The 18 hole par 72 golf course spreads across 6906 yards overlooking the spectacular views of the Batam Island northern bay. This is a course where water comes heavily into play, so be prepared to take on water hazards and large bunkers across the course. 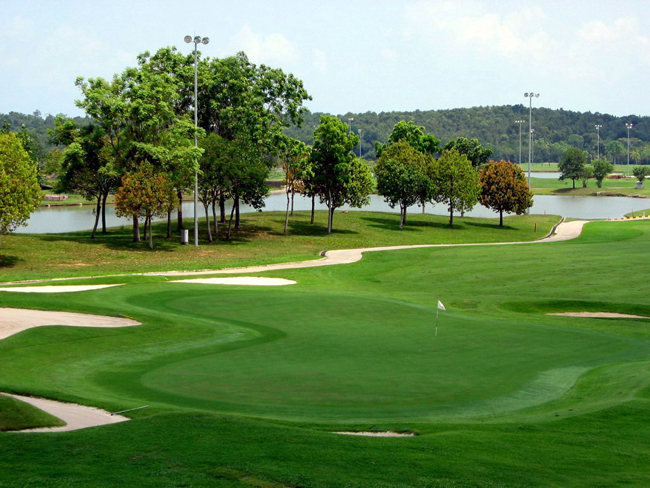 The Batam Hills Golf Resort is located near the Waterfront City area of Batam Island was re-transformed in 2006. The 18 hole par 72 golf course was designed internationally by Australian architect Max Wexler. Golfers here enjoy the undulating fairways and variety of hole designs. Perhaps one setback is the lack of accommodation on the course and golfers must take a 5 minutes car ride to the nearest hotel in the area. 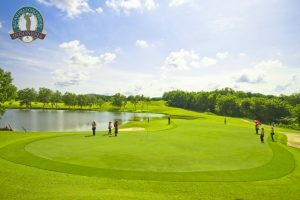 Padang Golf Sukajadi is a 18-hole championship course and probably the newest golf course developed in 2009 to bring top-quality golfing experience to golfers. Next to the golf course is the Radisson Hotel which makes it the most convenient golf course for a hassle free relaxing golfing getaway from Singapore. Padang Golf Sukajadi is a 10 minutes drive from Batam Center international ferry terminal and 10 minutes from downtown Batam which makes navigation and free and easy travel plans easy to manage. Batamgetway highly recommend amateur golfers to take our golf package with Padang Golf Sukajadi for the most convenient and enjoyable golfing free experience. Southlinks Country Club is probably the most popular among the local golfers in Batam. It was initially designed by Hisamitsu Ohnishi a golf course architect featuring a lot on nature and greenery and further enhanced by James Wee. The course spreads across high ground and overlook breathtaking views of the island’s coastline where you can see Singapore’s spectacular skyline in the north. Southlink caters to both amateurs and offers a good challenge to professionals with its undulating course. 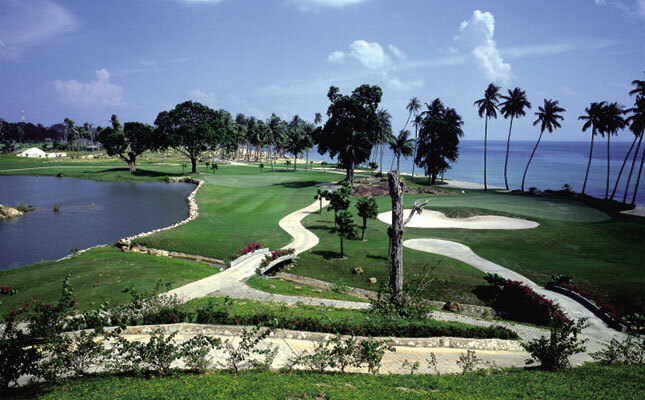 Palm Springs Golf and Country Club was redeveloped in 2002 and situated in the Nongsa area of Batam island. The design of this 27-hole golf course was lead by Larry Nelson featuring several man-made lakes and ponds throughout the 27 holes across 3 courses. The Island Course features more of the nature and greenery and is less undulating than the Resort Course which can rise to more than 35 metres above sea level. Undoubtedly the most challenging yet most beautiful of the three, is the Palm Course with several over water shots and a par-3 brings the difficulty to the next level. If you want an easy & fuss-free Batam Golf Package getaway this is the package for you! Simply, book the package, arrive in Batam, Golf, Relax and head back to Singapore the next day. 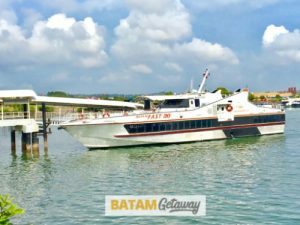 If you haven’t yet explored Batam before, consider completing your Batam Golf Package with a additional 1 Day Batam City Tour which can be arranged on the 2nd day. This package is best for avid golfers that appreciate hassle free planning and booking. Simply, book, pay and go! If you have a group of friends, feel free to contact our friendly consultants and we will be able to arrange the package for your group as well. Enquire with us at reservations@batamgetaway.com. Most travellers book this Batam Golf Package as a last-minute weekend golf getaway from Singapore. 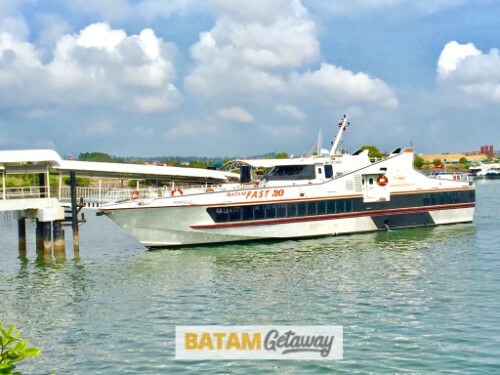 With this, consider travelling on a weekday so you can enjoy Batam with tranquility. Furthermore, with less crowd you could receive the best possible attention from the food, shopping, massage, and other service establishments. If you plan to travel during public holidays and school holidays, our advice to you is to book as early as 4-months in advance to avoid disappointment. You can book this value-for-money Batam Golf Package in just 3 steps: 1. Select your travel dates, number of travellers, and tour type (with our without massage) 2. Input all travellers’ details. 3. Pay by credit /debit card. Done! You may refer to our detailed step-by-step video guide on How To Book. We are interested in your 2D/1N package including golf at Palm Springs but we would like to add an extra round of golf at Tering Bay . We dont mind playing either Palm Spring or Tering Bay on the first day and the other on the second day. Would you be able to arrange this & how much would it cost for a flight of 4 balls ? Hi Francis, thank you for your enquiry. We have emailed you on your request. Please do check and get back to us. We are 4 senior golfers (Age 69 to 76) planning for a 2D1N golf trip to Bintang and wish to play 1 round of golf at Palm Spring and another round at another golf course (please recommend a good course) on May 22 to 23, 2019. We are all members of Seletar Country Club with full reciprocal agreement with Palm Spring for which we pay only buggy fees with green fees FOC. Please give us a quote that cover ferry fees, immigration clearances, transport and 1 night 3star/4star hotel with breakfast green fee etc. Hi Ho Chwee Heng, Good Afternoon. We forwarded an email to you. Please check your inbox/junk mail and let us know for any assistance needed. Hi Simon, thank you for your interest in our Batam Golf packages. We have emailed you on your request. Looking forward to your update. I have a group of 6 to 8 golfers intending to stay 2 nights and play in 3 courses around your hotel. Can you pls offer us a package with the recommmended courses, for single and twin sharing? We are looking at checking-in on 14Nov and checkout on 16Nov. Thank you. Hi Ronnie, thank you for your Batam Golf enquiry. We have emailed you with regards to your request. Looking forward to your update. Hi Alan, Thank you for your enquiry with us for your golf arrangement in Batam. We have sent you a message privately. Please do check and update us. I would like to plan a golfing trip for my group of 4pax to batam for one night stay and 2 rounds of golf at different golf courses. Please reply to my email address for further discussion. Hi Henry, Thank you for your enquiry with us for your golf arrangement in Batam. We have sent you an email. Please do check and update us. Hi Sisilo, Thank you for your Batam Golf enquiry. We have emailed you with regards to your request. Please do check and get back to us. Pls. quote for 3 golfers to Batam from 2019 Feb 20-22 (Wed to Friday). Hi CC Sng, Thank you for your Batam Golf enquiry. We have emailed you with regards to your request. Please do check and get back to us. Hi Siong Tjia, Thank you for your enquiry for your Batam golf trip. We have sent you a quotation via email. Looking forward to your update. Thank you. 1. Mar 23 afternoon arrival and play 18H golf. 2. stay in separate hotel in downtown Nagoya. No sharing room. 3. Mar 24 early morning 18H golf. Hi Masa, Thank you for your enquiry for your Batam golf trip. We have sent you a quotation via email. Looking forward to your update. Thank you. Hi Kevin, Thank you for your enquiry on our Batam golf package. We will be emailing you the quotation shortly. Wishing you a pleasant day! Hi, I’m interested in golf package, pls let me know full price and details, thanks. I am planning a 2D1N golf trip to Batam for 4 Adults. Would like to play 2 rounds of golf for this trip. Please provide a quotation to include accomidation, land transfer, ferry tickets and breakfast. For accomidation, we prefer to stay at Harmoni Hotel at Nagoya City.